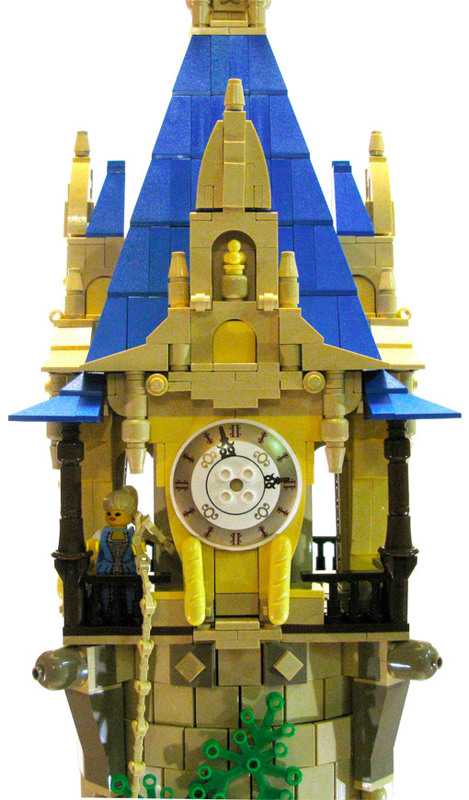 For Lego enthusiasts, please note the concentric rings used in this construction (wow!). 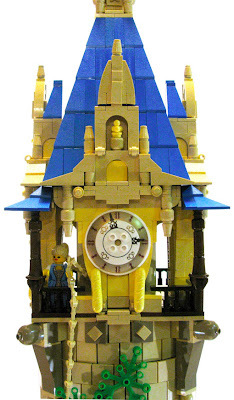 Seriously awesome brick building and tale telling all in one go. 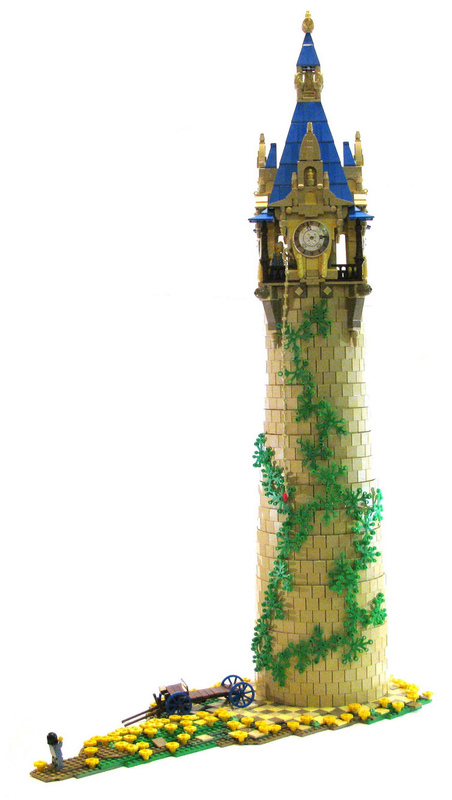 Jordan Schwartz (Sir Nadroj) built a very bright interpretation of Rapunzel’s tower. The technique of stacking concentric rings to create a conical tower is very clever, and the effect is one of a kind. The creation looks deceptively smaller than its actual size, which is actually 3 feet tall. 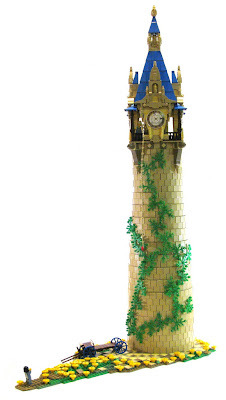 The top level of the tower is modeled after the Peles Castle in Romania while the round part of the tower was based on a Lego design by Deborah Higden (you can see the Rapunzel tower designer's initial questions about the ring construction in the comments). 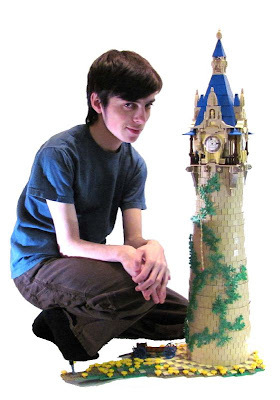 This 'MOC' (standing for 'My Own [Lego ] Creation') also got a write-up in Issue 10 of the official BrickJournal magazine, meaning the creator (and the fairy tale creation) were both recognized for the feat of 'brick engineering' it is. You can see more detailed images HERE and see more creations by 17 year old 'Brick Master' Jordan Schwartz (pictured above) HERE.